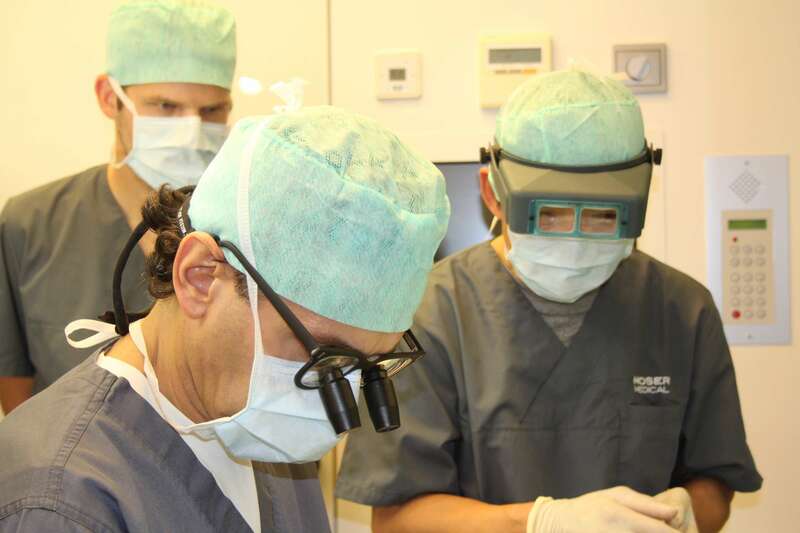 Dr. Jerry Wong from Vancouver, Canada, one of the most respected hair transplant surgeons in the world, visited Moser Medical in Vienna to share his experiences with our specialists and discuss trends, techniques, and the methods of tomorrow! Vienna, 17 October 2016: In his almost 40-year career as a hair transplant surgeon, Dr. Wong has earned the highest honours in his field and has performed more than 6,000 treatments. Ever since their first meeting at the 1992 Hair Transplantation World Conference in Rio de Janeiro, Jerry Wong has had a personal and professional friendship with Claudia and Karl Moser. Due to a mutual commitment to pioneering work, they have been in regular exchange since then. Hasson & Wong, just like Moser Medical, strives every day to achieve the best results. In pursuit of this goal, all technological and medical developments are frequently checked, optimised, or even self-initiated, when needed. The visit to Vienna was a wish come true for Dr. Wong: "Moser Medical has an excellent reputation the world over, and it has long been a dream of mine to be able to get to know the clinic and the team in Vienna. What impresses me most are the standards of hygiene, as well as the fact that not only the doctors, but also the medial assistance staff, are exceptionally qualified. I will certainly take some inspiration home from this experience." Von Jerry kann man immer etwas lernen. Für ihn zählt, genauso wie für uns, stets das perfekte Ergebnis. Der regelmäßige Austausch von Erfahrungen bei Behandlung und Forschung hilft uns, immer noch einen Schritt besser vorwärts zu machen. Und das kommt jedem Patienten zugute.